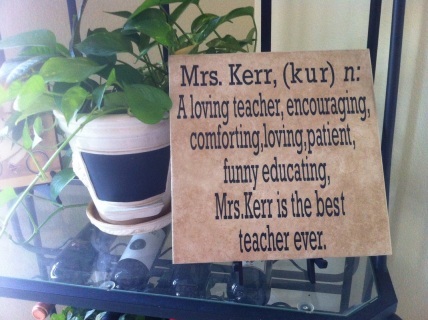 This great gift idea is one the teacher can display all year long in the classroom. 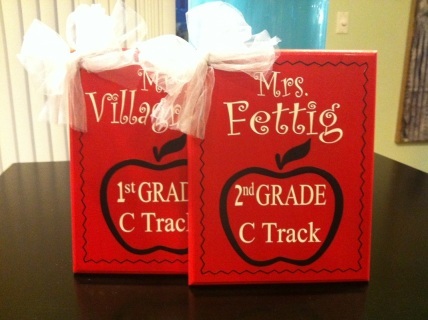 Custom made to include the teacher's name, grade, and track (where applicable). This great gift idea is one the teacher can display all year long in the classroom. Tile measures 12 X 12. 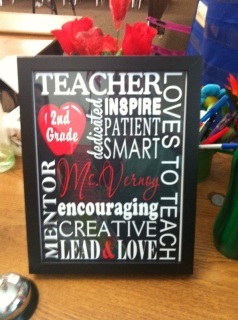 This great gift idea is one the teacher can display all year long in the classroom. Custom made to include the teacher's name, grade, and track (where applicable). 11 X 14 frame included. 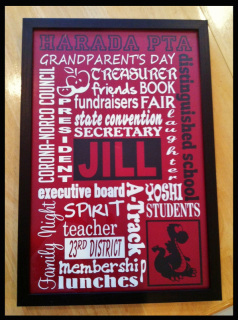 Great gift to give your school leaders such as the principal and assistant principal! 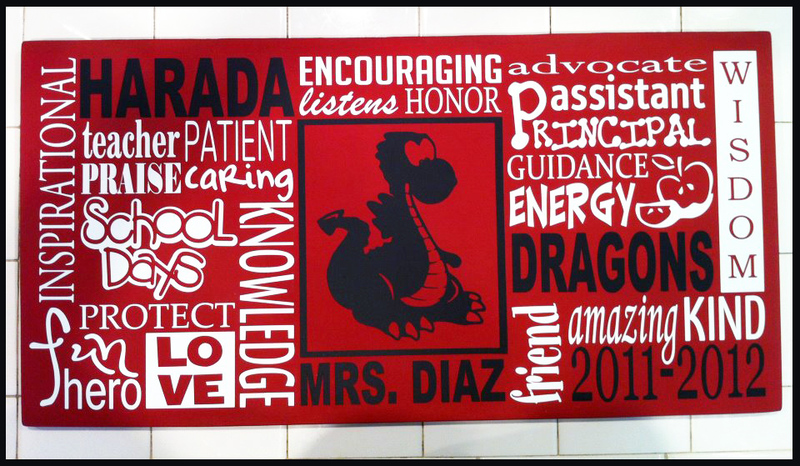 Customized with words to describe them and their duties at the school. 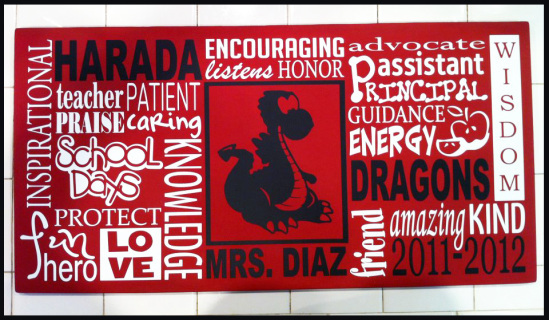 We can also incorporate the school mascot and colors. 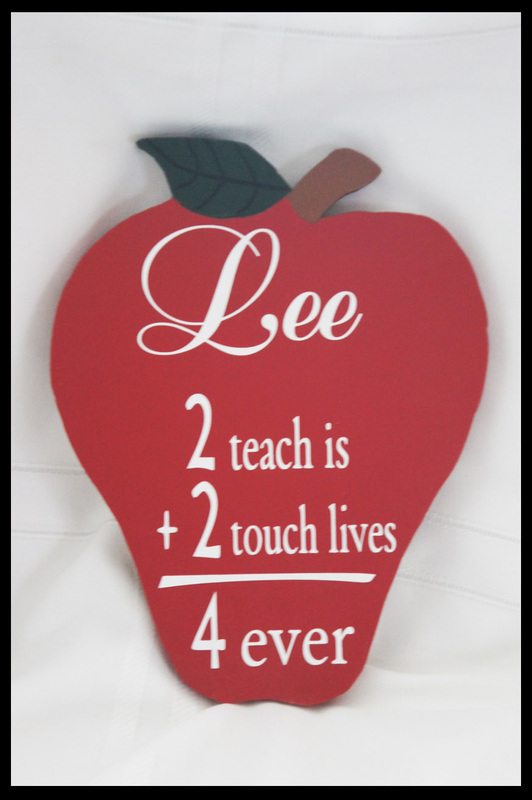 Board measures approximately 12 X 24 inches. This is a great gift for anyone serving in a leadership role. Can be customized to include words relating to his/her duties and job title. 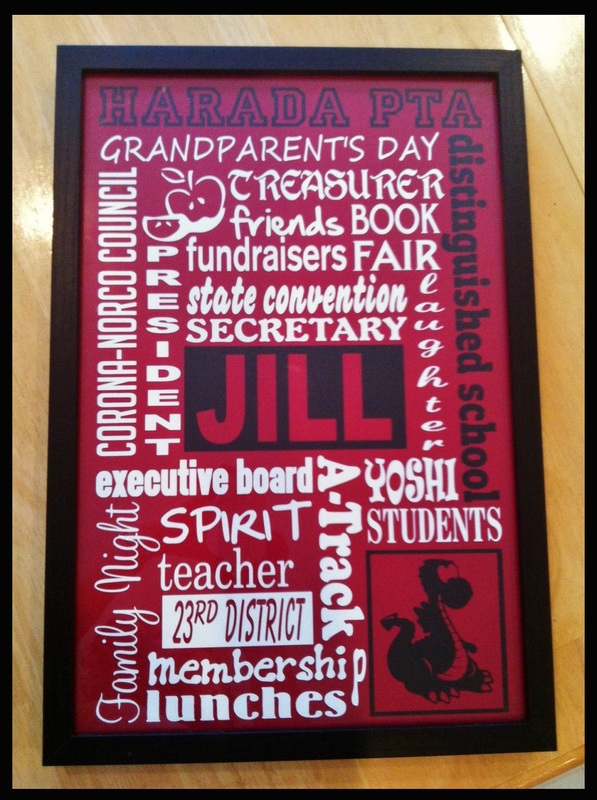 Comes complete with a 10 X 13 frame, but can be put onto a larger frame per request for a slightly higher fee. Contact us for details. 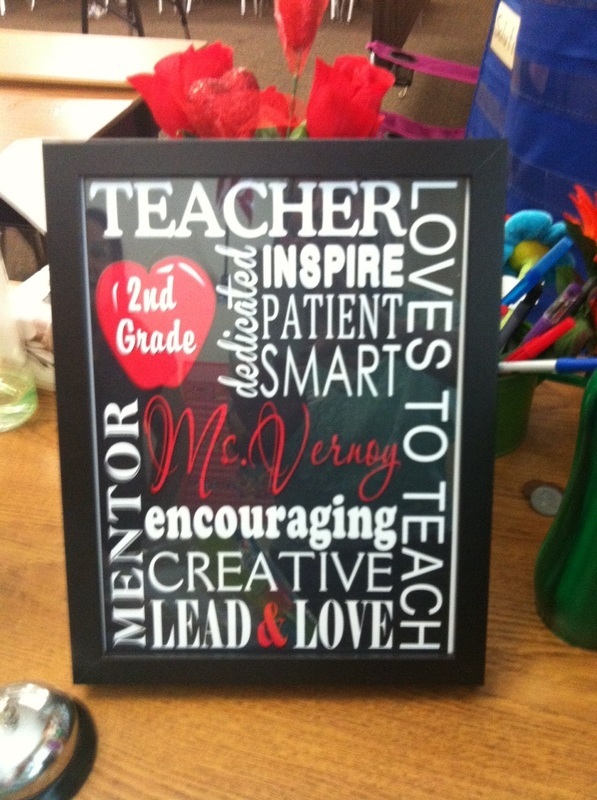 This great gift idea is one the teacher can display all year long in the classroom. 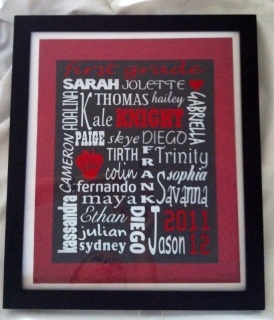 Custom made to include the teacher's last name, and you can opt to put Mr., Mrs., Miss, or Ms. on it as well. This adorable gift measures approximately 8 X 9 inches. 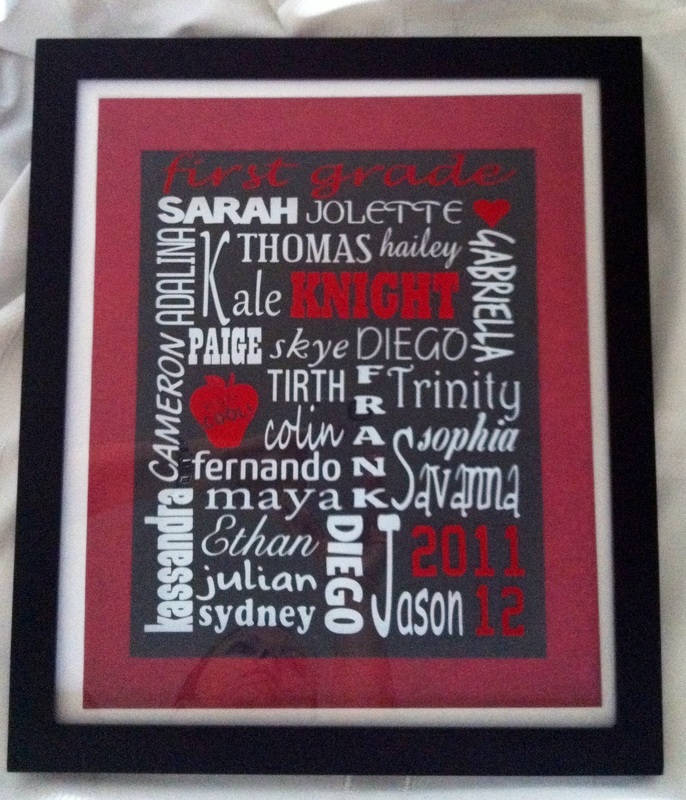 Let us help you create a custom gift that is sure to stand out from the rest. We applied subway art containing the name of each of the students in the class to an 11 in. X 14 in. black frame. However, this same subway art has the option to be applied to a wood board measuring 11 in. X 14 in. Price for this memorable gift is only $20, or get the vinyl ONLY for $15.